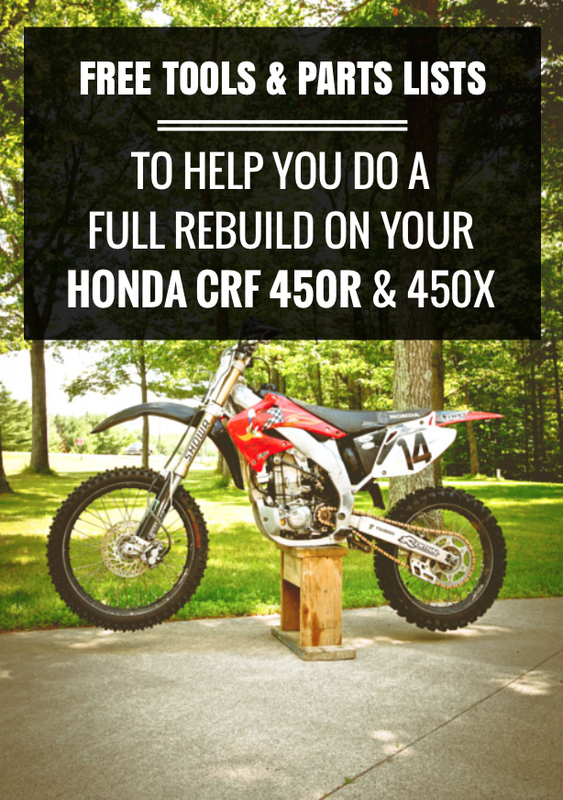 Want to start planning a full rebuild on your Honda CRF 450R or 450X? Download our free Tools and Parts List today to learn exactly what you need to begin planning a successful rebuild in a matter of minutes. A model year specific parts list, with all Honda OEM part numbers. Applicable for the 2002 - 2006 Honda CRF 450R models and 2005 - 2012 Honda CRF 450X models. A complete list of tools you will need to disassemble, inspect, and reassemble your engine from top to bottom. A short description of when and where each tool is used to help you begin to map out your build. Success! Now check your email to download your Honda CRF 450 Full Rebuild Tools and Parts List. If you have any questions don't hesitate to email us at support@diymotofix.com.